"Act so as to bring out the best in others, and thereby in yourself"
The 2019-2020 Pledge Campaign is underway! Click here to show your support NOW! We are a humanist congregation that practices Ethical Culture, a movement begun in 1876 by Felix Adler. The mission of the Northern Virginia Ethical Society is to bring out the best in others and thereby in ourselves, strengthen our relationships with one another, and build a more humane world by offering a program that promotes ethical growth and learning, builds and sustains community and implements ethical action beyond our Society. We invite you to visit us on a Sunday morning. You might find the kind of caring, welcoming community you didn't even know was out there - just waiting for you to become part of it! Leader, Randy Best, and Director of Ethical Education, Kimberly Nyilasi featured on Communicating Today speaking about the Northern Virginia Ethical Society. Meditation at NoVES: Just as I wish to, may you be safe, may you be healthy, may you live with ease and happiness. Ethical Action Blog - January 7, 2019. 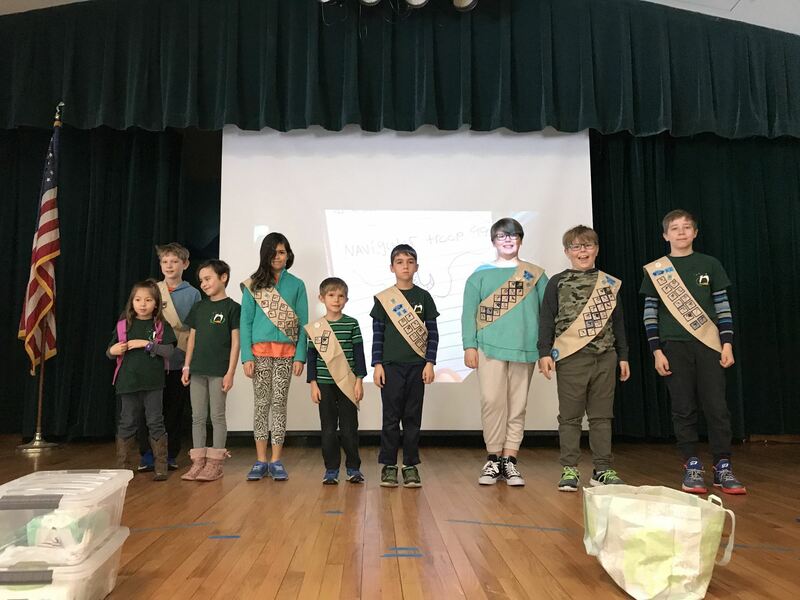 Navigators Troop 99 has been active for 3 1/2 years now. This past Sunday at the NOVES Winter Festival, we held our 3rd Annual Badge Ceremony and Fundraiser. Thank you to everyone who donated in support of our troop! IF you wish to see more, please visit our NOVES FB Page and enjoy the compilation video of our 2018 Scout activities. Ethical Culture is premised on the idea that honoring and living in accordance with Ethical Principles is central to what it takes to live meaningful and fulfilling lives, and to creating a world that is good for all. Ethical Culturists focus on supporting one another in becoming better people and on doing good in the world. Sunday School students learn to practice these values EARLY and OFTEN! This January, the children undertook our annual Kakenya's Valentines Fundraiser. 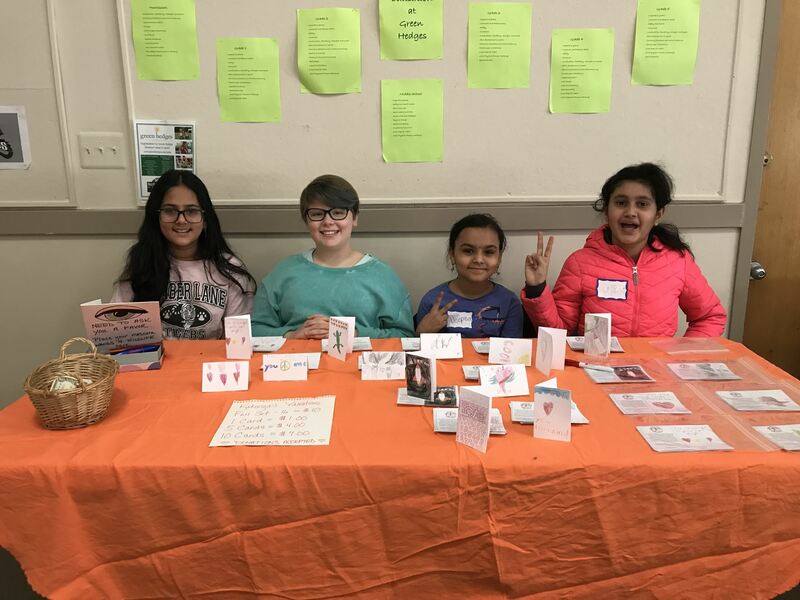 Students created and sold classroom Valentines to benefit the Kakenya Center for Excellence, founded by Dr. Kakenya Ntaiya. This February, the children executed another NOVES tradition, the Darwin Day Celebration. The children performed 2 songs and dipped up the banana splits. 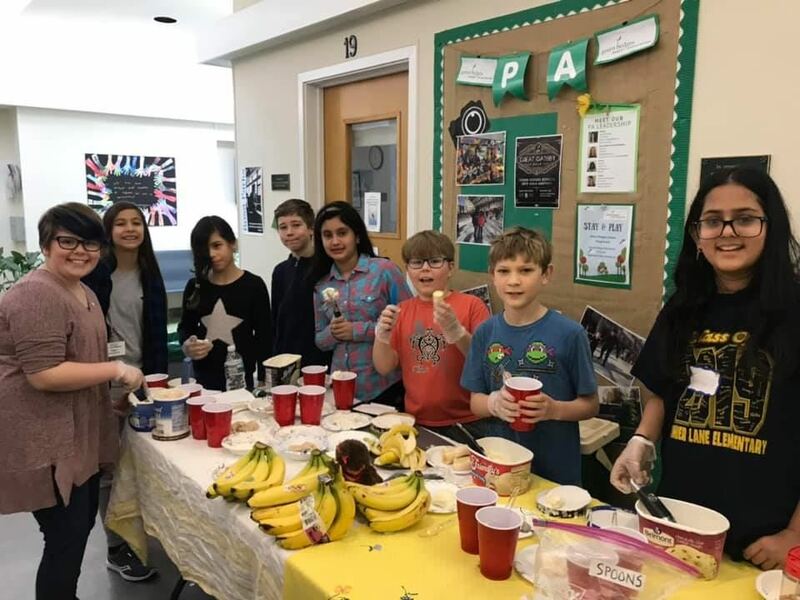 I am so proud of them for sharing their kindness & creativity thru drawing, sacrificing their time practicing, showing their courage by performing and exemplifying their patience by serving the adults ice cream 1st and eating their sundaes 2nd. Keep Up the Great Work Kids! What do our members say about NoVES? Read our Member Testimonials and find out! Want to keep the conversation going? Meet us at a local restaurant for lunch at 1:00 PM after the platform. Join our Meetup group to get the latest details. Do you enjoy weddings? Consider being a NoVES officiant. Contact Randy Best if interested. Do you have time to spare to deliver a meal, provide a ride, or just be a companion to a fellow member in need? If so, contact Iris Woodard with the Caring Committee. Want to learn more about our website? Do you have a passion for mass emails? Please follow up with the Communications Committee to join our web team! Clink on the logo to learn more about Ethical Culture, ethical action nationwide, and AEU resolutions on national and global issues. Driving Directions: Take the Nutley Street North exit from Route I-66. At the fourth light, cross Maple Avenue (Route 123) and start watching your odometer. At 0.2 miles, you will see a driveway with “Watch for Turning Vehicles” and “Green Hedges” signs. There will also be an Ethical Society sign next to the driveway. Turn right into the driveway, park in the lot, and take the nearest entrance into the building.